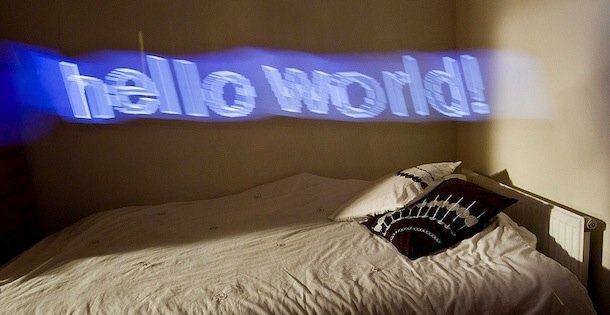 Want to project holographic text and graphics over anything using your iPhone or iPad? Grab Holographium and your digital camera. 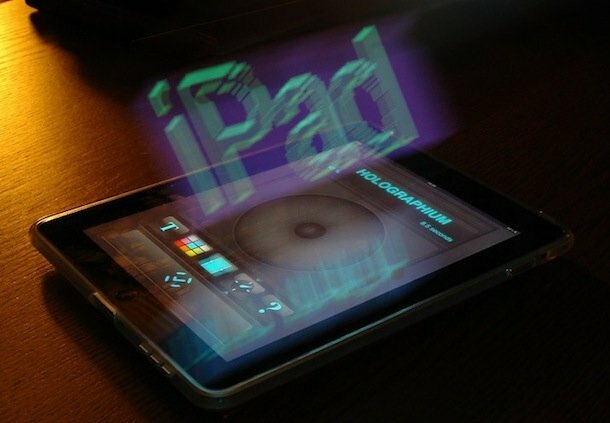 Combining the two, you can create the appearance of 3D text and images by using the app and then dragging an iPad, iPhone, or iPod touch in front of a camera with a long exposure. 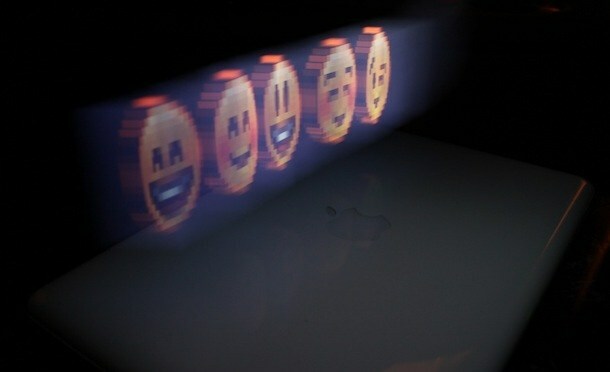 The end result is a really cool 3D effect. 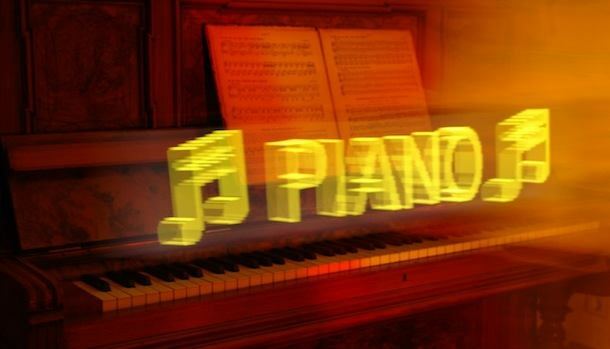 The 2-dimensional Text is converted into a bunch of interconnected vertecies in 3-dimensional space, optimized, and then sliced into hundreds of frames. When your digital camera is ready, these frames will be projected over time on the holographic extrusion matrix, appearing quickly on your screen as bright lines and squares. While this doesn’t seem to make sense for your eye, your digital camera will produce amazingly cool long exposures when you drag them out in front of it. You can write whatever you want, change the colors, and using emoji you can project graphics too. The only real requirement (other than the app) is a digital camera that allows you to take exposures of 5 seconds or longer and some patience while you perfect the process. This is definitely a fun app, to play around with that is pretty similar to the iPad light painting video that I wrote about a couple of months ago. Holographium was briefly free to download, but now costs $2.99 from the iTunes App Store. The pictures on this page are all borrowed from the Holographium Flickr Group, check it out for more examples of the app in action. He, this is fake. I can’t belief that you publish this article. It’s really a photography trick more than anything else.